Starters, sides, and easy weeknight dinners: Savor a seriously tasty salad with all the flavors you love and the convenience you need. Lettuce, vegetables, and fruits are the stars of these salads. 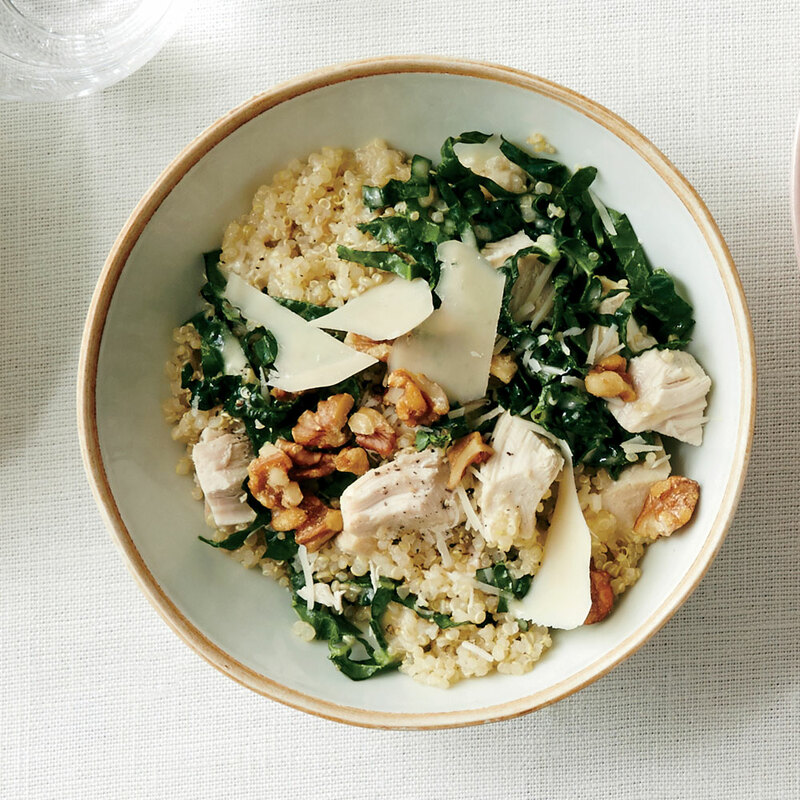 Make the most of in-season produce with recipes that will have you going back for seconds. Good salads are much more than iceberg lettuce, chopped veggies, and a sprinkle of a basic vinaigrette. Salads are a great way to pack in plenty of produce, load on lots of flavor, and feel seriously full once you're finished. These healthy lunch and dinner salads rely on hearty grains, lean protein, and immensely flavorful dressings. Each bite is interesting and complex, which leaves you eager to eat it again for tomorrow's leftovers. And if you're counting calories, great news! Most of these salads are under 400 calories. Pasta salad is a perfect dish for versatility; it's easily portable and can be served either hot or cold. Try one of these 25 healthy pasta salad recipes. 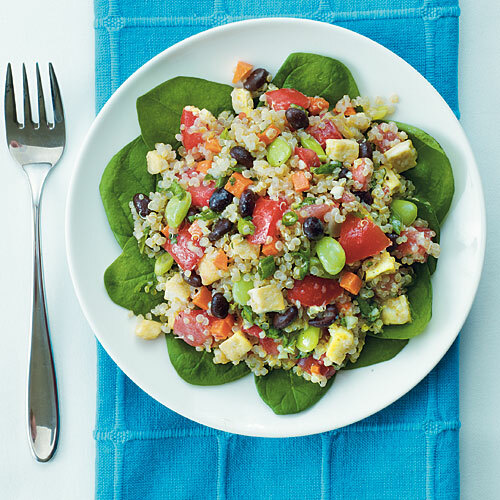 Make whole-grain salads in advance, chill, and enjoy for easy, quick-to-serve lunches and dinners. Instead of thinking of breakfast as an obligation, consider it an opportunity—one that sets you up for healthy success the rest of the day. Kick the (store-bought) bottle with these easy DIY dressings. Homemade dressing is a treat: It can make even a simple plate of greens memorable. Here are 16 easy ways to add great flavor to nature's best bounty. If you can find Meyer lemons, juice one and seed the other, chopping up the entire fruit (flesh, pith, peel, and all) to make a thicker, more vibrant sauce. This recipe makes enough to dress 2 bunches of shredded lacinato kale mixed with 1 cup of finely grated Parmesan.